WaveFrontAC  would like to know if you are interested in turning your innovative wireless idea into a start-up company? Entrepreneurship@Wavefront  is a new program being undertaken in partnership with BCIC  to support and nurture 8 early-stage B.C. wireless companies. Program participants will receive one-year access to office space in Wavefront’s  collaborative wireless incubation centre and $10k credit toward Wavefront’s advisory and testing services. Exemplary go-to-market services wireless companies would leverage are Wavefront’s handset library, usability services, refinement of business development strategies and industry connections. Participants can also leverage BCIC’s network of seasoned entrepreneurs and industry experts for additional mentorship and guidance. Skate 3  will be dishing up a virtual Hawaiian skateboarding vacation tomorrow with the release of Danny Way’s Hawaiian Dream, an enormous skater’s paradise designed by the skating legend himself. Inspired by the tropical paradise of Hawaii, this all new Skate 3 downloadable content comes loaded with everything from original street terrain to flowing skate parks and of course Danny’s signature Mega-madness. Danny Way’s Hawaiian Dream content pack will be available on Xbox Live and PlayStation Network for 560 MS points or $6.99. The DLC will also include new challenges, create-a-skater gear, an all-new Danny Way playable character, and new achievements and trophies. 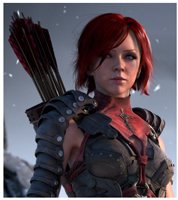 While skate fans are busy in Hawaii, I’ll be on a mission with Dragon Age’s Leliana as Bioware adds a new chapter to the Dragon Age: Origins  saga. Leliana’s Song  will allow gamers to play as the roguish bard in a tale that can lead only to treachery – and the reasons which led Leliana to The Chantry. For 560 MS Points ($6.99 PSN), play through Leliana’s Song to earn a new reward that can be transferred over to your original Dragon Age: Orgins and Awakening campaigns. So now you know what I’ll be doing tomorrow after work. New media makers interested in developing a creative project or reflective essay related to this year’s theme are encouraged to apply to the Interactive Screen Scholarship Intensive , which takes place at The Banff Centre  this August 14 to 20th. Participants will benefit from valuable mentorship across a broad range of new media interests. Applications for projects in all stages of development, from early concepts through to fully developed prototypes, are welcome. support for program tuition, meals, and shared accommodations on The Banff Centre campus. Please visit the Scholarship Information Page  to apply. Local (Vancouver) indie game designer Alex Vostrov (Rocket Bear Games ) has officially announced his new game. According to his site, the new game will be called Infested Planet, and is “an innovative real time strategy game where you face a humongous horde of mutating aliens with just 5 marines” will hit the gamer waves in the Fall of 2010. Corus Entertainment  and Treehouse  are pleased to announce the world premiere of the first ever Dr. Seuss inspired animated series, The Cat in the Hat Knows a Lot About That! on Saturday, August 7 at 5:30 p.m. ET starring Martin Short as the voice of the Cat.